Could Ruby 3.0 Support Static Typing? Matz gave a keynote at RubyConf 2014 where he presented some major ideas for Ruby 3.0, including how Ruby might be able to implement static typing. At RubyConf 2014, ko1 (Koichi Sasada) explained some significant speedups that will be included in Ruby 2.2, including garbage collection for symbols and incremental garbage collection. 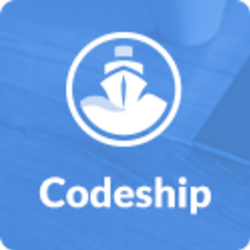 Codeship is Continuous Delivery made simple. Codeship offers 100 builds/month and 5 private projects for free and just improved their UI. Get started easily with the simplest Continuous Delivery Service out there! Their average setup time is 3 minutes. Contain a security fix where the existence of arbitrary files can be leaked (but not the contents). 4.0.11.1 and 4.1.7.1 have also been released for anyone on those branches. The conclusion to a series of articles about Rubinius 3.0 looks at the changes it will introduce to the language itself. Removing things like Typekit and other font services and external APIs can speed up your integration tests.